Selling himself as a man of action, not bound by law, conventional standards, or “political correctness”–whatever that is, Donald Trump is determined to keep control of his events, even if that includes letting his supporters or staff lose control. Trump has commissioned a large and aggressive force to maintain order. Maybe it’s generic paranoia, or a megalomanical sense of the threat he represents, or maybe a realistic evaluation of how much he angers people, but Trump has determined that the Secret Service agents provided him (and other candidates for the presidency) aren’t enough. 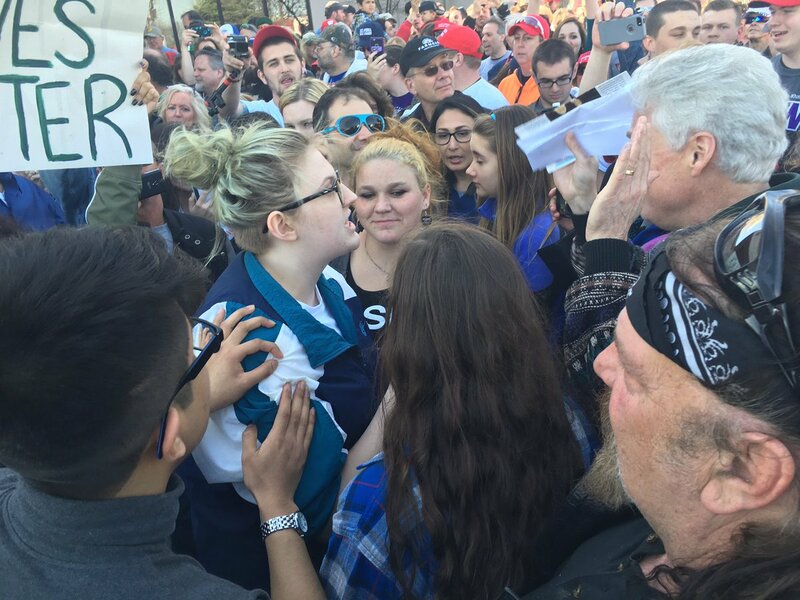 To be sure, other candidates–if they can afford it–supplement local police and Secret Service, but at least this year, none been able to generate the violence that has become endemic at Trump rallies. Then again, maybe no one else is trying. The threat of violence keeps the media presence at Trump events large, and also helps keep the crowds coming. Anything can happen. Paradoxically, this threat of violence also keeps the protesters coming. 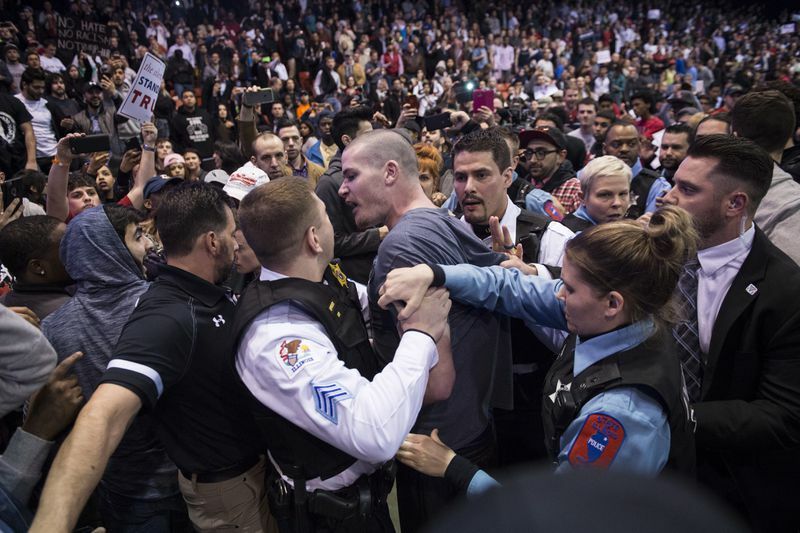 At Vox, Dara Lind says the tendency to overreact makes the Trump rallies a more attractive site for activists. Confrontation with professional security–or even the volunteers caught up in the moment, makes for dramatic images that could go viral, giving the demonstrators a chance to reach a broader audience. It’s not about inviting discussion about immigration policy or civility, as Lind notes, but creating a ruckus large and visible enough to engage bystanders–even those watching on a screen hundreds of miles away. And provocation provokes provocation. Last week, in advance of today’s Wisconsin primary, Trump scheduled a rally in Speaker of the House Paul Ryan’s home town. (Ryan has, timidly in my view, criticized the tenor of Trump’s candidac y, the violence, and the lack of civility. Trump took it right back to the Speaker. 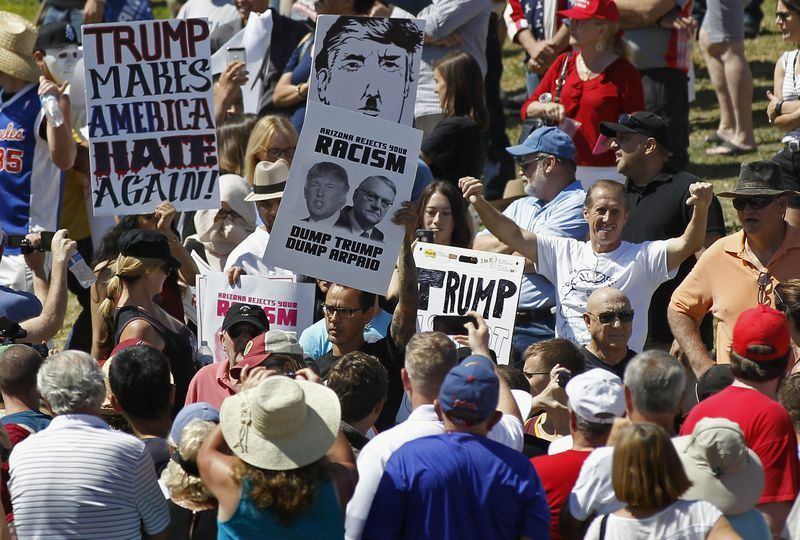 And Trump opponents showed up as well, vigorously criticizing the candidate’s racism. Confrontation like this is polarizing, inviting spectators to take sides. Everyone involved has bigger concerns than Donald Trump–except, of course, for Trump himself. This entry was posted in Uncategorized and tagged campaigns, countermovements, Donald Trump, elections, Janesville, Paul Ryan, pepper spray, rallies, violence, Wisconsin. Bookmark the permalink.